Description: Brand New in the Box!! Ready to Ship!! Buy It Now! 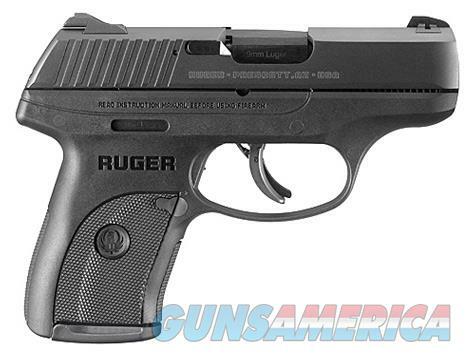 Ruger lightweight compact pistols are compact, yet powerful. From the perfect backup firearm for law enforcement to licensed carry for personal protection, Ruger lightweight compact pistols are the perfect choice. The all new, striker-fired Ruger LC9s features a short, light, crisp trigger pull for faster shooting and improved accuracy. The LC9s provides slim, lightweight and compact personal protection with a blued, alloy steel slide, a high-performance, glass-filled nylon grip frame, aggressive checkering and an easily acquired 3-dot sight system. The LC9s uses all LC9 accessories and holsters and is just slightly larger (less than 1" taller and 1" longer) than the popular and incredibly compact LCP.